Ikebana Electronics Pvt. Ltd. (IEPL) is a Mumbai based company established in 1988 under the Indian Companies Act 1956. IEPL started commercial operations with the exports of special-purpose machinery and engineering goods. In 1998, realizing the growing demand for power and consequent potential for marketing accessories for power cables in India, IEPL embarked upon a program of design of termination and joint systems for MV power cables up to 36 kV and organizing type-testing of these products using heat shrink cable accessories manufactured by Ikebana Engineering Ltd. Thailand, to international standards at Central Power Research Institute (CPRI) in Bangalore, India, which has a global recognition as an independent test-house. IEPL has been marketing Heat Shrinkable cable accessories manufactured by Ikebana Engineering Ltd., Thailand as the sole distributor in India. IEPL’s registered office in Mumbai, also has a design office, customer service centre and an in-house test facility to conduct necessary tests on the complete system and the components. 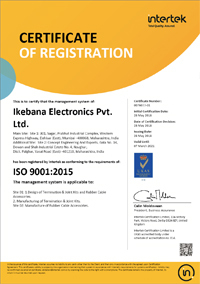 IEPL commenced supply of Ikebana MV Termination kits in 1999 to Maharashtra State Electricity Board (MSEB). 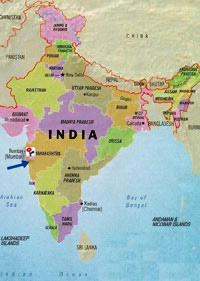 Over the years, IEPL has established a reputation for timely supply of quality cable accessories and providing engineering services to their clients which include MSEB and numerous electrical contractors in Mumbai and all other major cities in Maharashtra state, who are engaged in providing MV/HV electrical installations for MSEB and industries. IEPL had been supplying to Bombay Suburban Electric Supply (BSES) since 2000. After the take-over of BSES by Reliance Energy Ltd., IEPL was approved in 2005 as the vendor. REL has awarded IEPL a special letter of recognition for timely and reliable supply of the termination systems required for the emergency restoration of power supply after the unprecedented floods in Mumbai in 2005. IEPL has also been supplying to other major Power Utilities such as Tata Power Co. Ltd, Calcutta Electric Supply Co. Ltd. (CESC) and Western Electric Supply Co. of Orissa Ltd. (WESCO) and to other states like Karnataka, Gujarat, Goa, etc. IEPL has been approved by major consulting firms and firms of international repute engaged in power distribution such as Larson & Toubro, UHDE India, Kvaerner Power Gas, L & T ECC, Siemens, Tata Consulting Engineers, etc. Site 1: 1. Design of Termination & Joint kits and Rubber Cable Accessories. 2. Manufacturing of Termination & Joint kits. Site 2: Manufacturing of Rubber Cable Accessories.